Hello! 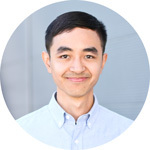 I’m Bryan Huy Vu–a food nerd in love with eating, cooking, photography, science, and culture. Vietnamese food was always on the table when I was a kid, but I didn’t really care for it until my late teens (what a waste!). I was a super picky eater and most just wanted fast food. Somewhere down the line I flipped a switch, and now home-cooked food is something I appreciate so much more. This is a journal of my recipes and food exploration that hopefully will share an appreciation for food with you! I love allllll foods but have a slight lean towards Vietnamese here, sprinkled in with random cravings I just have to have. My parents were born in Vietnam, so I’m a first-generation American here. Their unwavering passion for food led them to spend the 90s running a Vietnamese restaurant in California. My mom has a discerning palette that she uses to consistently knock out dishes that essentially brings the family together. I’m thankful and lucky to have her kitchen expertise and experience in Vietnam to lean on when I want to learn a Vietnamese recipe. The thought that a photograph can tell a story, take you back in time, make you feel something, and cause a commotion is pretty amazing. I love using photography to share with you my perspective. During my 9-5, I get to work on a lot of photography projects for Your Best Digs too (meaning I get to nerd out with more fun kitchen gadgets!). I love to hear from my readers! Keep in touch and sign up for updates on my blog here. If you want to get in touch, hit me up at hungryhuy [.at.] gmail [.dot.] com. Awesome glad to hear from you MM! I still am trying to learn more from the family, as much as I can. There are lots of good vegetarian Vietnamese restaurants nearby me too and they do a pretty good job IMO. No pork bowl of bun, I’m all over that too. Haha good to hear from you too Dee thanks. And glad to know the site is helping! Thank you for sharing these recipes, they’re very traditional, just like my family makes it. And it’s nice to have a reference when I wanna try to replicate it. I just stumbled across your website and going to start trying your recipes! I like your presentation. Would love to see more recipes! I’m also first generation Australian. But now live in London.. for the last 13 years. Please continue to put up more Vietnamese recipes! I am Danish/Canadian living in Ontario. Some years back we were fortunate to live in Hawaii for 3 years where I learned to cook Asian. Recently I chose to learn to cook Vietnamese food and I have enjoyed learning Pho and Pho Po, and some Stir-Fries. Love the taste and very fortunate to have a new Asian grocery store T&T here in Waterloo. They carry very fresh produce and I can find everything needed for Vietnamese cuisine. Thank you for having a Blog, I look forward to learn from you. Just wanted to say I can’t wait to try these recipes! You have a very cool site here. I am a 100% Filipino but i started loving the Vietnamese cuisines since last year when i finally and frequently travel in Vietnam. I think it is simple to make yet very tasty and savory. I love this site of yours as you’re able to share those recipes unselfishly and letting other people from different part of the globe to have a try of cooking or making it on their own.